Description: Borana women waiting to collect drinking water at a collection point. Concrete containers hold up to 25000 liters, filled by watertrucks. Women walk for hours to fill their (yellow) jerrycans. 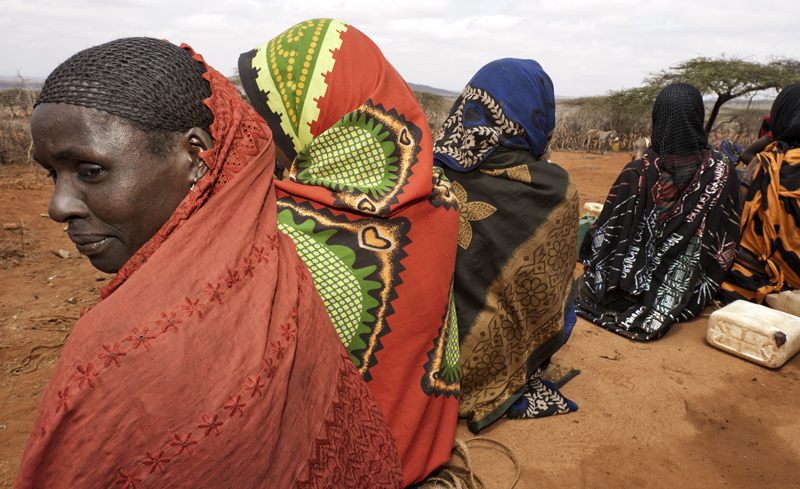 Caption: Borana women waiting to collect drinking water at a collection point. Concrete containers hold up to 25000 liters, filled by watertrucks.